Mavic first launched its iconic Cosmic wheels back in 2006. We'll openly admit that in recent years the French company hasn't been our favourite choice, put bluntly there have been more exciting developments from Enve, Zipp and even Roval and Bontrager, house-brands of Specialized and Trek respectively. Mavic has just launched a brand new version of its Cosmic Ultimate wheels and we're pretty excited about these. 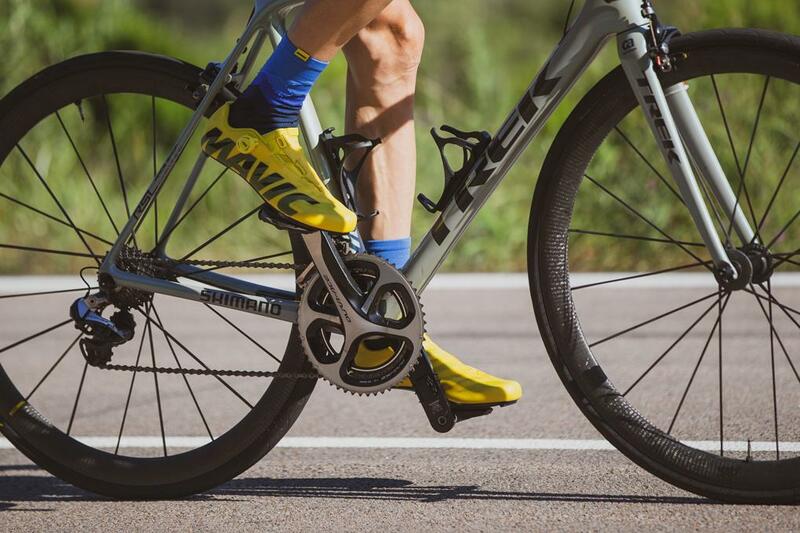 Mavic has redesigned its 40mm deep all-carbon rim with its own UST tubeless technology, with brand new full-length carbon spokes and a new carbon rear hub. Claimed weight is just 1,330g. To put that into perspective, that's as light as a tubular but you get the benefits (if you believe them) of puncture resistance and lower rolling resistance from the tubeless tyres. They're rim brake only at the moment, no sign of a disc brake version, and that's because Mavic is clearly aiming these at the pros. Tubeless (when it works) is a godsend if you hate puncturing, and there are studies and tests that show it offers lower rolling resistance than tubulars. The only reason pros use tubs still is because the tyre doesn't come off the rim when it deflates, and they are the lightest option. But we're not pros and the possibility of completely eliminated flat tyres, especially if you're riding in all the bad weather the UK can dish out and the state of the poorly surfaced roads with potholes everywhere, can't be overstated. 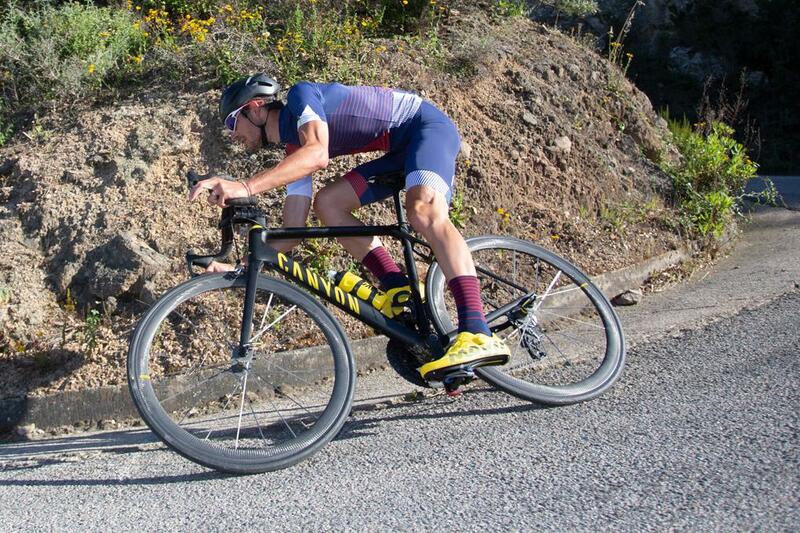 So to get that tubeless tech in a lightweight and aero package seems very compelling to us. The only bad news is they won't be available until early 2019 and they won't be cheap at €3,500. Imagine having access to the pinnacle of road racing performance-the same level of speed, acceleration and incredible ride quality that WorldTour pros demand-but without the need for your very own support car following you around. That's what you get with the new Cosmic Ultimate UST. It's the same superlight full-carbon design that has long been a pro favorite, but with the added reliability and puncture protection of our UST Road Tubeless system. The first thing you need to know is that the wheelset weighs only 1300g. That means you'll fly up the climbs and accelerate like a rocketship. It's also super efficient, with a wind-slicing 40mm deep, 25mm wide full-carbon tubular rim profile, 20 super-bladed spokes, and high, thin carbon hub flanges. It's also ultra-stiff thanks to the unidirectional carbon fiber spokes. These spokes run continuously from one edge of the rim to the other through the hubs (R2R technology), creating one single spoke instead of two. This eliminates the need to mechanically attach the spokes to the hub. The rear rim is asymmetrical to improve the drive-side bracing angle, so spoke tension is balanced and the wheel stays stiff under the heaviest lateral loads such as sprints or attacks. The rim is made of 12k carbon fibers wrapped over a super rigid foam core. And our unique iTgMax technology delivers reliable and consistent braking performance in both wet and dry conditions. The UST Road Tubeless setup, including our integrated Yksion Pro UST tires, saves about 15% in rolling resistance at equal tire pressure, while being super easy to set up, inflate and maintain. 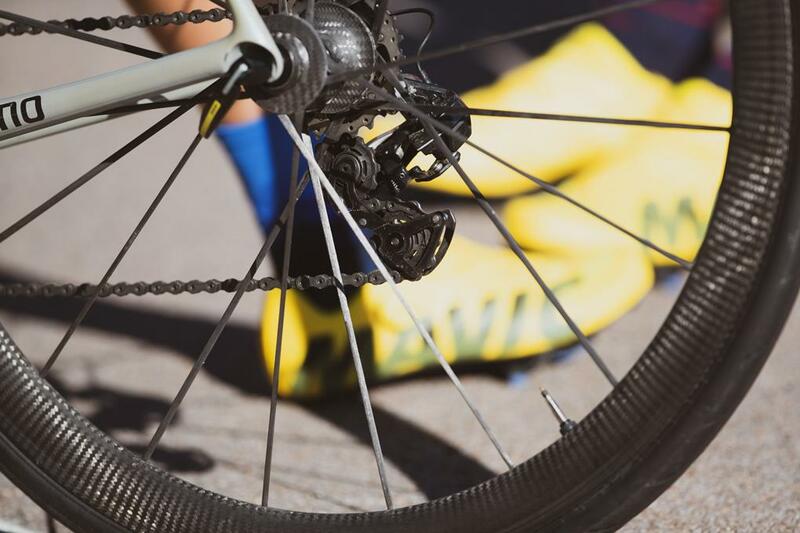 It's easy to see why the Cosmic Ultimate is the pro's choice for the most challenging World Tour races. Now, with this UST version, it can also be yours. Look out for more info on the Bespoke blog as it becomes available!